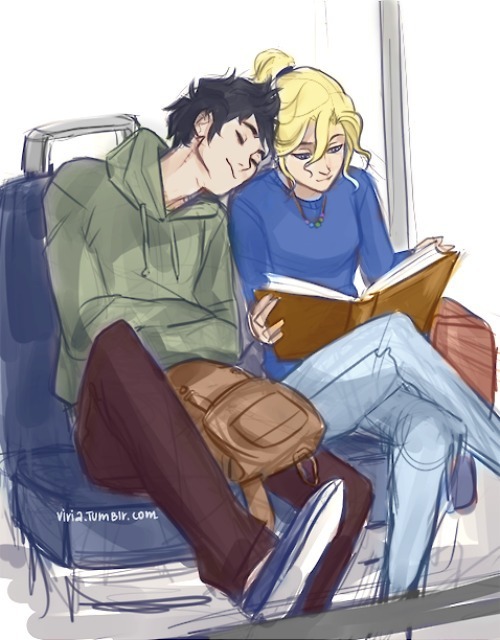 Percabeth par Viria. This is Viria's coloured version.. Wallpaper and background images in the Héros de l’Olympe club tagged: the heroes of olympus percy jackson annabeth chase percabeth love fan art relaxed. This Héros de l’Olympe fan art contains anime, bande dessinée, manga, and dessin animé. Camp Half-blood ou Camp Jupiter?? Jason and Reyna - I l’amour drawing them! awwwwwwwwwwwwwwwwwww!!! percys like, "come on annabeth. y r u reading?" and annabeths like, "shut up percy. let me read." Why Piper McLean is Awesome!